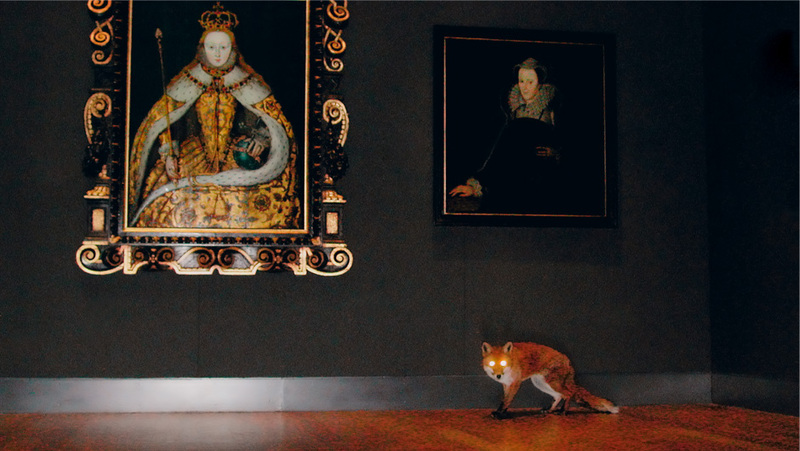 Though seemingly unaware of our gaze but probably well used to being an unwelcome guest, the fox often stays in the shadows, skirting the edges of rooms or seeking the cover of benches. 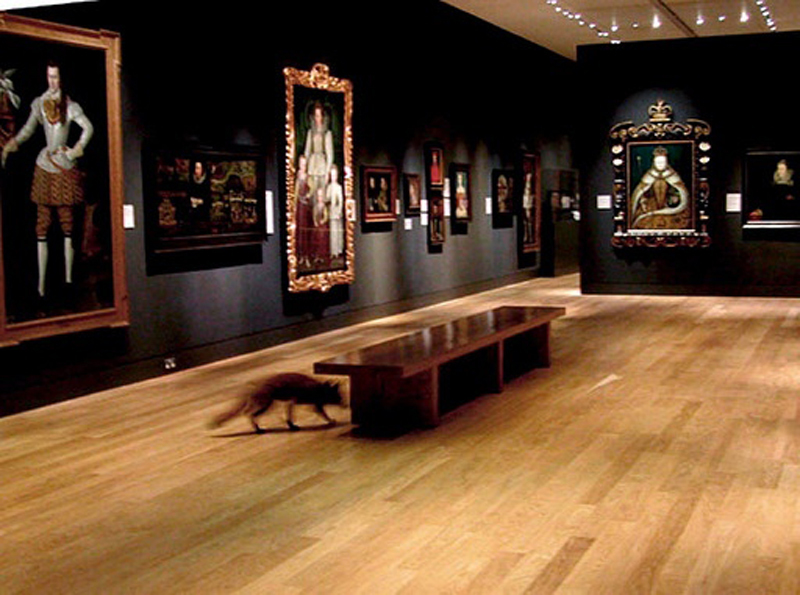 He investigates the space but pays as little heed to the paintings as might be expected (the audience for art may be at an all time high but it seldom includes pets leave alone wild animals). 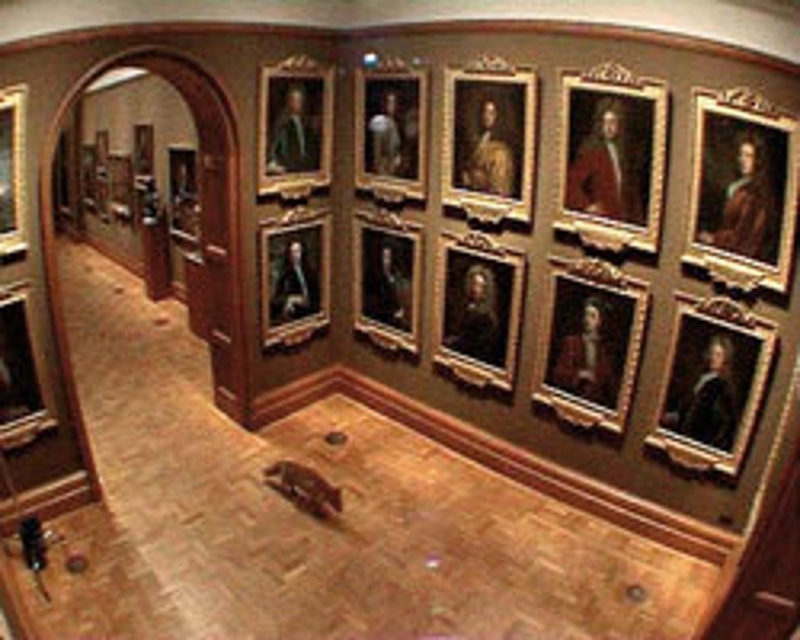 The work was made in 2004 in the National Portrait Gallery in London. 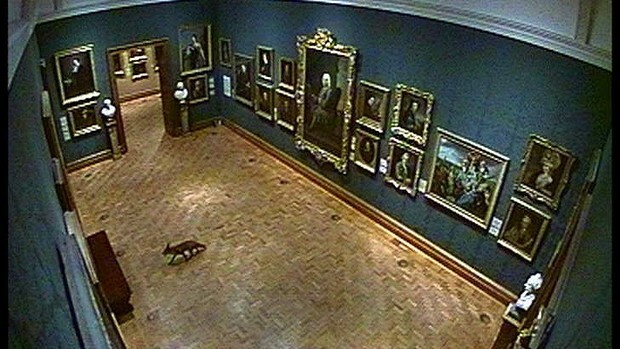 Alÿs released a fox into the empty gallery at night; its movements were recorded by the museum’s CCTV system and it’s this video footage that forms the work. There is something extraordinary and utterly unexpected about watching a wild animal roam a museum space at night; at times we watch empty gallery spaces before catching sight of the elusive subject of our search. It’s here that the different strategies for showing the piece give the work two very different feels. As a single screen work (which can be seen on Francis Alÿs’s website), we watch the fox’s progress knowing that if it isn’t on screen right now it will be soon. As a multi-screen piece, the work – and the process of watching it – is more complex; in this format, catching a glimpse of the fox feels like a rare treat, a reward for looking at the right screen at the right time. In this configuration, the work speaks also of the burden of watching and the challenge of monitoring a bank of CCTV screens hoping to spot anything out of the ordinary in time to stop jt becoming a problem. We are watched all the time and, unsurprisingly, often resent it; we – or, at any rate, I – think little of those whose job it is to do the watching. 3am: wonder, paranoia and the restless night is at the Exchange, Penzance until 19 July 2014. This entry was posted in Film/Video, Galleries and tagged 3am: wonder paranoia and the restless night, after dark, art, CCTV, fox, Francis Alÿs, London, National Portrait Gallery, night, The Nightwatch, video by Ann Jones. Bookmark the permalink.